Lisa brings years of experience teaching spin and more recently yoga having completing her 200-Hour Teacher Training. An avid hiker, snowboarder and tennis player, Lisa's classes will inspire and challenge you with attention to overall fitness and awareness. She participates in the community by motivating youth in her Unplugged program, and cultivates friendships and adventure for women with her Unplugged Women's Group. Heidi brings her love of music, spinning and sweating to the bike with her upbeat rides. Rap, reggae and rock combined with upper body, core and varying levels of speed and difficulty make her classes a challenge and fun. Heidi wants her riders feel strong and proud about the work they are doing! Heidi spends her time off the bike with her friends, family and doggies in Vermont and nyc. Laura taught spin for over 10 years before moving to Vermont with her husband and their 5 children. She feels incredibly lucky to live in such a beautiful place where just opening her back door and going for a run is a scenic and reflective experience. She works as an English Teacher at Long Trail School in Dorset and is the Executive Director of the Be Brave for Life Foundation, a non-profit that raises money for brain tumor research. She is committed to making the most out of each spin class and motivating her students to set achievable goals and have fun while doing it! Kate (RYT 200) completed her teacher training in 2012. She has a Master’s in physical therapy and a keen interest in postural alignment and biomechanics. When she discovered Iyengar Yoga she was drawn to the therapeutic benefits, but also to the physical energy, mental clarity and peace she experienced after each class. She offers a dynamic hatha class with uplifting themes that you can take off your mat and into your life. When she isn't practicing or teaching yoga, Kate enjoys spending time with her devoted, hard working husband and 3 wonderful, busy kids. We welcome Katie Pinkus to the team. Katie is a local chiropractor, mom, and avid soccer player. Originally from New Jersey Katie brings an enthusiastic, competitive spirit to her spin classes. Loves music and loves encouraging others in her class. When she is not working or working out she is cheering on her kids on the soccer field. Katie has three girls and her husband Brenton is a local chiropractor is well. Julie brings her love of spin, dance and music to each class. Her goal is to make you sweat, smile and increase stamina! Join her as she winds you through upbeat rock, rap, pop and oldies. Using different timing techniques, she hopes that each rider will find the same joy that she’s found on her spin journey. Julie has also taught kids yoga for over 6 yrs at local preschools and yoga studios. She’s excited to bring mommy and toddler classes to zen this spring! When Julie isn’t teaching she surrounds herself with loving friends, family and a crazy animal crew in Manchester VT.
Kasia trained with Tony Sanchez in 2014 on the 26+2 series to become a Bikram style hot yoga instructor. She recently worked at Hot Yoga Manchester for three years until it closed. Having been an athlete in school and running a marathon, her initial interest in hot yoga began after a ruptured disc for the benefits of healing. Kasia is joining the Zen team with her heated yoga 26+2 series class to continue the healing, strengthening, and lengthening benefits it provides to all clients. Sarah Thabet and her husband Dan recently moved Vermont to enjoy the outdoors and laid-back lifestyle that the Green Mountains offer. 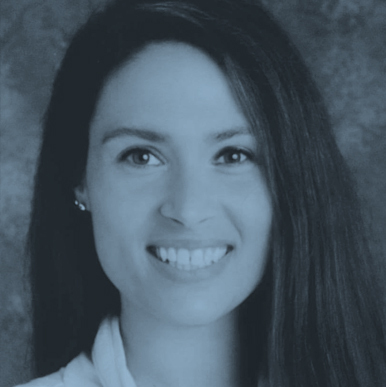 Sarah is originally from Syracuse and received her doctorate in Physical Therapy on Long Island. Her experience treating patient’s of all kinds, as well as her own journey to achieve physical and mental wellness with yoga & Pilates, has inspired the Yoga/Core Fusion class. You’ll find both Sarah and Dan treating patients in the outpatient setting in town and might bump into them on the trails with their rescue dog Shea. Nancy (RYT 500) has been practicing yoga for 6 yrs. She began to embrace the concept of enjoying the present moment – that the journey up the mountain is more important than summiting it – that settling into a posture is more important than perfecting it. She believes that awe-inspiring life skills can be learned through one’s practice and presence on and off the mat. Nancy yearns to share this with her community, student athletes, recovering addicts, family & friends. She’s a Registered Nurse who loves hiking w/family in the Adirondacks, backcountry skiing & knitting. She lives in Dorset w/her husband, three teenagers and English Setter (who has a mean downward facing dog). Kayla was born and raised in the fitness industry. 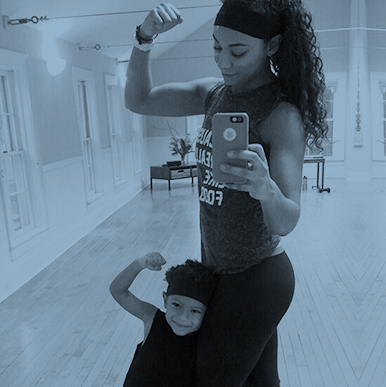 She is a mom to a four year old son and full time fitness instructor. Her classes are designed to burn fat, build strength and increase endurance, utilizing great music so your workout is rigorous but fun! Her Kabox class is an energetic cardio class that combines kickboxing and aerobics for a fun, effective workout, while her Body Toning class uses light weights and high repetitions to help tone and strengthen your body. No prior experience or knowledge is needed. Classes suitable for all ages and levels. Quinn received her initial 200 hour certification from Asheville Yoga Center in North Carolina, and has continued to further her education under a variety of master teachers in Boston and Asheville. When she's not inside the four walls of a yoga studio, you can almost definitely find Quinn hiking a section of the Appalachian Trail, living out of her Toyota in the deserts of Utah, or perfecting a new vegan cookie recipe. Her latest adventure has led her to the beautiful Green Mountains of Southern Vermont, which she is very excited to now call home! Julie, a Certified Personal Trainer and a (RYT 500) Yoga instructor, brings her love of fitness to class. She loves focusing in on core and bodyweight movements but also uses stability balls, light weights, battle ropes, ladders and bands to mix up workouts. She also is a physical education teacher BBA and coaches field hockey. Julie lives in Rupert with her husband Gene and her two kids Jacob and Emily.